El Cuatro is perfect for a car-load of adventure seeking amigos looking for a solid nights rest. Its bookable as a private or shared dorm. El Cuatro room sleeps up to four and has enough under bed storage to house a large pack. 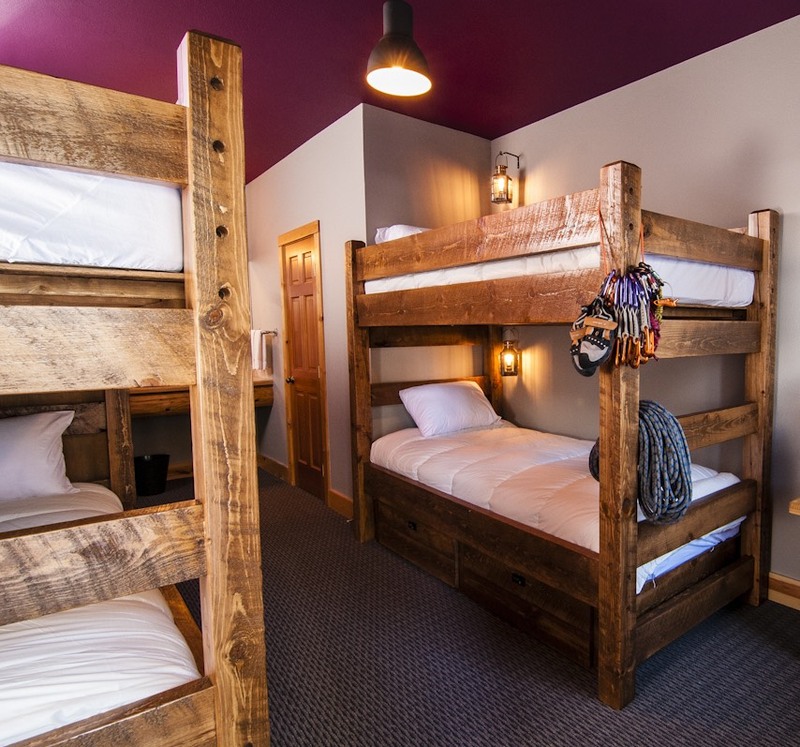 The Super Queen is a private room with multiple sleeping options. This a great room for a couple, two friends who want separate beds, or a couple with an accompanying third wheel. The King Lodge is our most classic hotel-style room. This cozy private room sleeps two people and is perfect for relaxing after a long day of exploring the surrounding wilderness. 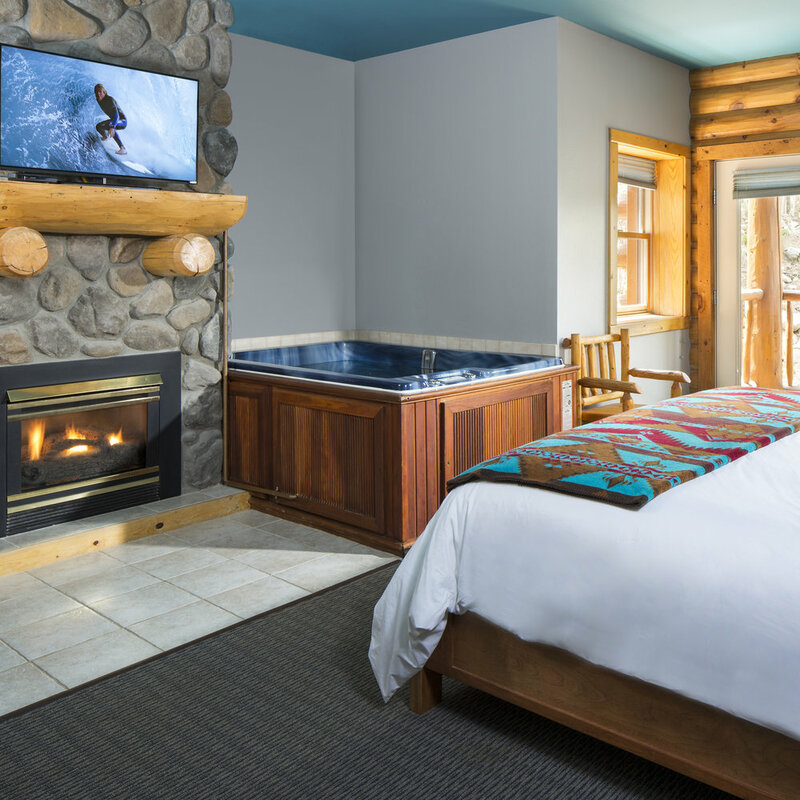 The Hot Tub Suite is an amazing room for a couple on a mountain getaway. This large room boast an ensuite hot tub, roaring fireplace, and large forest-view balcony. The Super Suite is the best room in the house. This grand room has a roaring fireplace and vaulted ceilings. The Super Suite is… well, super sweet! Aspen Alley is the perfect addition to any group mountain gathering. 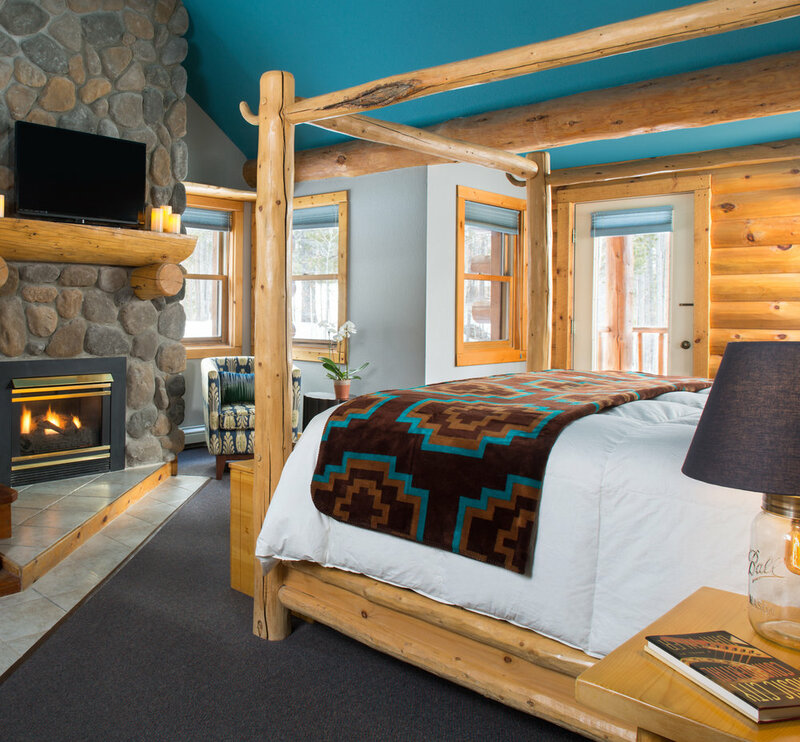 This private apartment has two bedrooms similar to our King Lodge rooms, but with a private kitchen, living room, and toasty fireplace. With Aspen Alley, you and your friends get the privacy of your own pad but with the outdoor hot tub, free breakfast, and social atmosphere of The Bivvi. While you can’t sleep in the gear room, you can store your skis, boards, bikes, & boots in here to ensure they get a good nights rest after a long day on the mountain. Your skis, boards & bikes will find the wall racks to be uber comfy while your boots dry on the boot dryer so your little toesies feel super snuggly in the morning.